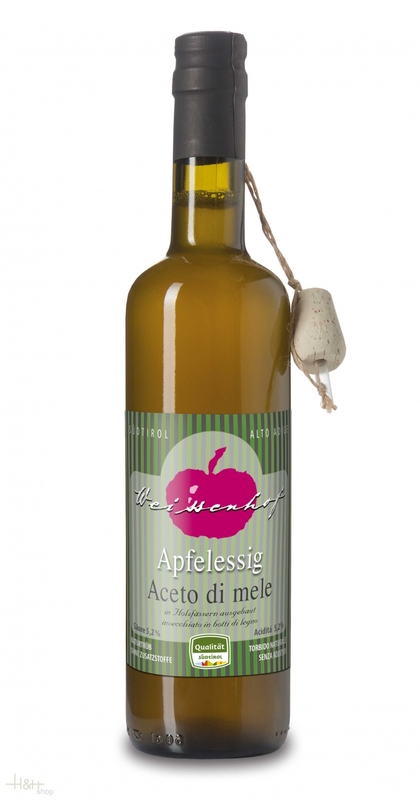 The Weissenhof apple vinegar is the first choice for demanding epicures, because he is natural and does not become back-watered. The ingredients are freshly pressed dessert apples the sunny fruit arrangements of the Weissenhof. By the natural fermentation and storage in wooden barrels this apple vinegar receives a full taste and his unmistakeable aroma.